Joseph Edward Lang Jr., 81 passed from this world on Friday July 27, 2018. 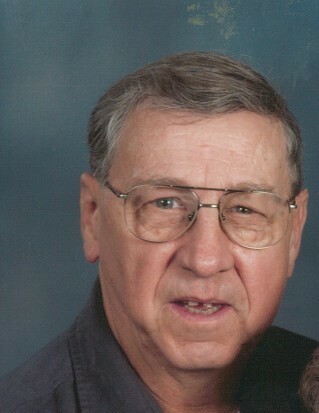 He was born on Wednesday July 21, 1937 to Joseph Edward and Hilda Emma (Knapp) Lang Sr. in Beechgrove, Indiana. Joe Lang or Bud, as his family called him, will perhaps best be remembered by those who knew him for his sense of humour. He was continuously looking for opportunities to make people laugh and smile. It was always easy finding him in a crowded room, just listen for for where the loudest laughter was coming from. Many of his friends have also come forward telling me of all of the things that he had done for them. Each of them have stories of how he had gone out of his way to help them. I knew of a few of them, but I had no idea just how many of these stories there are. It makes sense that all of the organizations he belonged to were all about service to others as well and that after he retired, he worked for Meals on Wheels because he liked interacting with people that needed help. Joe lived a life dedicated to others. Even in his final hours he was more concerned about the people who were looking after him than for himself. Perhaps his greatest legacy is his example of service to others, a life long love of God, his family, and of his neighbours. Maybe it’s as simple as him being Joe, Dad, Uncle Bud, or Grandpa. Which ever ones of these it may be, I think that all of those who knew him could all agree that our lives were made better by having him in it. Joseph was preceded in death by his parents Joseph Edward and Hilda Emma (Knapp) Lang Sr. He is survived by his loving wife Jacqueline Ann (Horner) Lang, his 2 sons Jeffrey Earl (wife Sheryl) Lang of Hanford CA., John E. (wife Susan) Lang of Sandy, Bedfordshire, UK, brother Donald (wife Alice) Lang, sisters Luana (husband James) Valmore, Marianne (husband Phil) Miceli, 6 grandchildren, 9 great grandchildren, 2 great great grandchildren, and many nieces and nephews with a host of extended family and friends. Celebration of life will be held on Thursday, August 2, 2018 at Holy Name Church, 89 N 17th Ave, Beech Grove, IN 46107, from 9 am to 10:30 am, 10:30 Military Honors, with service to follow at 11. Please have all flowers sent to Holy Name Church.